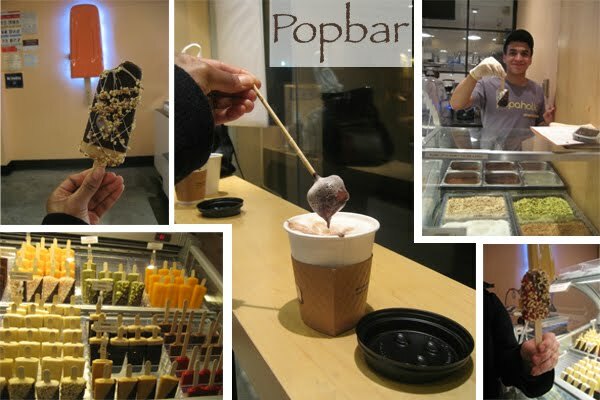 You all remember how much I loved Popbar last summer? Well I was recently invited to learn about (and taste!) their newest addition to their yummy collection: miniPops, smaller versions of their popular handcrafted gelato-on-a-stick that's great for catering weddings, birthdays or just drowning your anti-Valentine's Day woes in a sea of popsicles (though I must say, eating two dozen of these little delights is not such a bad way to go). 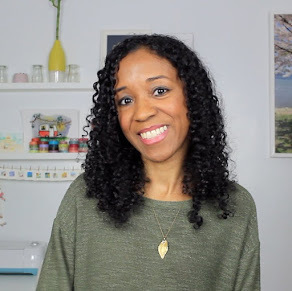 MiniPops are packaged in a cooler that keeps them frozen for up to two hours - if they last that long - and must be ordered at least two days in advance and at a minimum of 25 pops (for $60). With all the flavors and "poppings" to choose from, they're completely customizable so hey, why not choose a color combo to coordinate with your big event? The only cool service I'd add is a service station complete with a professional "popologist" so guests could order any popbar creation they'd like. Sweet idea, no? Since I tried the mango popSorbetto the last time I was there, I went straight for a mini strawberry one. Delicious and so fresh. It never feels like you're sucking on a piece of ice, but rather a softly frozen fruit. Mind you it was incredibly cold outside, but that didn't stop me from trying a creamy banana popGelatto dipped in dark chocolate, drizzled in white and then sprinkled with almonds. Gianduia chocolate is the store's best-seller, but after I took a bite from another girl's spicy pumpkin pop covered in milk chocolate and hazelnuts, I instantly discovered a new (and newly released) favorite. Forget pumpkin pie, I want this after every Thanksgiving meal! Now for those who can't bear the thought of eating ice cream in the winter (I used to be one of those people until I saw and tasted the light), I suggest you go for a cup of their Caramel Hot Chocolate on a Stick. The hot-and-cold combo and chocolate ice cream swirls were rich and satisfying on that chilly evening. I was getting a childish kick out of dunking the ice cream cube into the foamy milk and then popping it right into my mouth until it cooled. Julio, our sweet popologist, handed us bar after bar, dipping and topping our gelatos with such care, while we prodded Daniel, the store's co-owner, for tips on any secret upcoming flavors. "We won't tell," we promised, but without luck. Well we might have to wait until spring for that news, but there are plenty of other fresh and fruity flavors to keep my taste buds busy until the next reveal. Lucky girl! Sounds like a fun opportunity! How fun to be invited to such an event. miniPops sounds so cute.